Sony and Sharp announced the end to a partnership formed in 2009, when Sony invested $126 million (£80 billion) in Sharp's LCD display business and received a 7 percent stake in the display manufacturer. The deal started to go really sour when Sony announced in March that they wouldn't inject any more financing into the venture. And, by September this year they would decide what the future of the two companies' collaboration would be. That future turned out to be nonexistent, as Sony announced that they'll sell back their 7 percent at a full refund. Also in March, just before the Sony/Sharp partnership went south, Sharp announced that the electronics manufacturer Foxconn would purchase a 50 percent stake in Sharp for $809.1 million (£515 billion). The deal was said to facilitate cost-cutting on LCD screen components through bulk purchases from both companies. 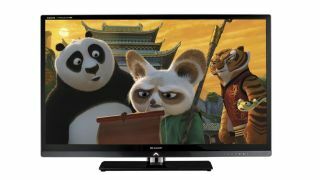 Sharp will reportedly continue making large displays, while Foxconn will still stick to smaller screens. Sony, meanwhile, under the leadership of new CEO Kaz Hirai, announced that they intend to return to profitability this year after seven straight years in the red. To that end, Sony announced plans last month to axe 10,000 jobs in an ongoing move to reign in the company's ailing TV business. This is the third such mass exodus Sony's seen since 2005. And just yesterday TechRadar reported that Sony (and Samsung) have begun enforcing minimum prices on televisions to deter retailers from setting competitive, but loss-making, price points. Another, more positive rumor whispers of a partnership between Sony and Panasonic to begin producing cheaper OLED TVs. OLED displays are notoriously expensive, but Sony and Panasonic could combine their substantial know-hows to bring that cost down and pass savings onto consumers.